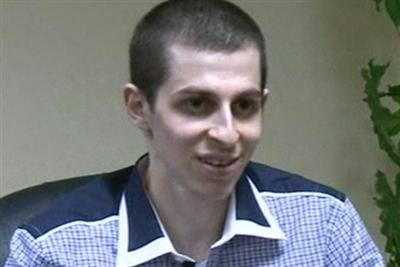 After more than five years as a prisoner of HAMAS, Israeli soldier Gild Shalit has been exchanged for over 1,000 HAMAS militants. I am all for pressuring HAMAS to release the young Israeli, or possibly an exchange of reasonable proportions, but 1,000 Palestinian prisoners, many serving life sentences and most with Israeli blood on their hands, for one Israeli captive? It sets a very bad precedent - the reunion of Gilad Shalit and his family feels good, makes a great media story, and certainly will be used to Benyamin "Bibi" Netanyahu's political advantage, but this will come back to haunt the Israelis. How long will it be before HAMAS, Islamic Jihad or some other Palestinian faction attempts to capture another Israeli soldier and force the Israelis to release more of the remaining 4,300 Palestinians incarcerated in Israeli prisons? How long will it be before the released Palestinian prisoners themselves are again plotting violence against Israel? I would venture to say that HAMAS's recruiting efforts have been made much easier by this besting of Israel in the diplomatic arena. Who are the real winners of this political move? Certainly HAMAS, whose flagging stature and slide into irrelevance has been reversed. The perception that the radical Islamist group has been able to humble the "invincible" Israelis into making such an uneven trade for a young corporal (although he was promoted numerous times in captivity) has revitalized HAMAS arguably into the primary political power in the Palestinian territories. If an election was held today, not only would they sweep the Gaza Strip as they in the elections of 2006, they would almost certainly win in the relatively more moderate West Bank as well. I understand the emotional bond between the Israeli population and their troops. Israel is a small country with large enemies, forcing virtually all of its Jewish citizens (Arab citizens are exempted) to serve a period of active military duty and remain in the reserves for decades. Military service in Israel is one of the common experiences with which all Israelis identify. Over the 64 years of Israel's existence, almost every family has suffered losses in the various wars and conflicts. With a small population and large military establishment, every soldier is regarded as part of the family. It is not surprising that the Israeli government negotiated with HAMAS for Shalit's release, but what is astounding is the number of prisoners with Israeli blood on their hands the government agreed to release. I am not in the camp of some of fellow Middle East analysts who believe that this deal might presage improved relations between Israel and the Palestinians, believing that if the two sides could compromise on this issue, perhaps there are other things that could be negotiated. First of all, releasing 1,027 Palestinians, including not just a few murderers, in exchange for one Israeli soldier is not a compromise, it is a capitulation. The Palestinians know, or at least believe, that they now have the upper hand in dealing with the Israelis - all they need are more hostages, be they soldiers (the best capital) or even settlers in the West Bank. Why would HAMAS - and they are now the key player on the Palestinian side - agree to any deals with the Israelis. All this exchange has done has vindicated the HAMAS hard-line position. Why change a winning strategy? If I was an Israeli soldier anywhere near the border with Gaza or the West Bank, I'd be watching my back. If I was a settler on the West Bank, I'd be careful what Palestinians I allow close to my village. HAMAS will try this again.